We feel strongly that our great Service Department provides all customers with all their needs. We have a company policy that we don’t leave the office at the end of the day unless all calls have been returned. We have 14 Factory Trained and Certified Technicians to meet all your needs. We have fully equipped service vans that provide service every day to golf course needs and private customer needs. 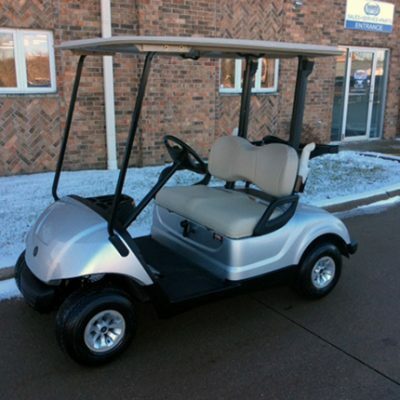 We will service all brands of golf cars. 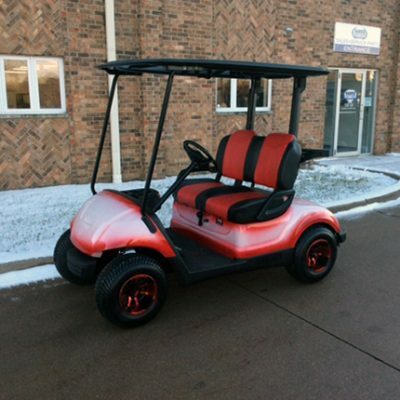 If you need any work on your golf car please give us a call or request service based on your location. 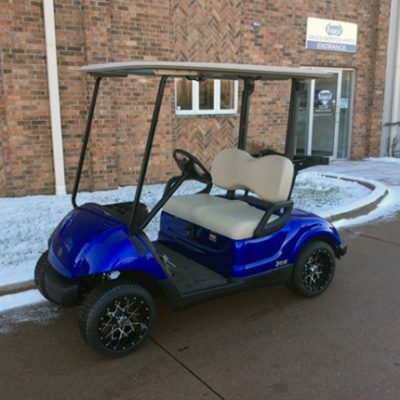 My electric golf car won’t charge, what do I need to do? 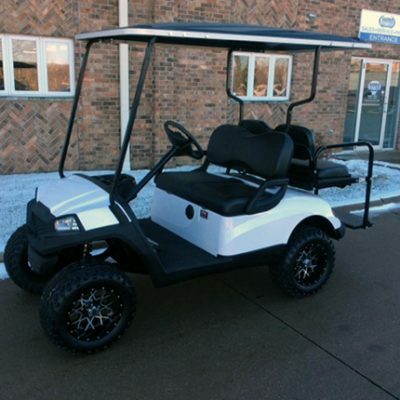 Was the golf car placed in tow and was the charger plugged in all winter? When you put the golf car away was the water level good? More than likely the golf car was not put on charge during this time. The car will potentially have to be brought back for us to jump charge the car and test the batteries. Letting the batteries drain down causes a shorter life to the batteries and/or could have damaged them to the point that they may need to be replaced. Testing is the only way to know where things stand with your battery set. My gas golf car runs rough and smokes. Is my engine bad? 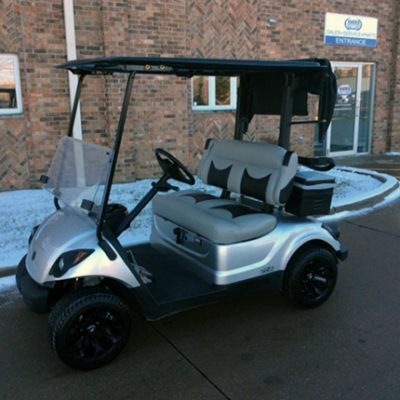 When was the last time the golf car was serviced? When the golf car was stored, was a fuel additive added to the fuel system before storing? Unfortunately, today’s fuels do not store very well. Usually an additive needs to be added to the gas tank to help preserve the integrity of the fuel. Most likely the car’s fuel system will need to be cleaned. Perhaps the carburetor’s needle is either sticking or stuck, allowing fuel to flood into the engine. Once this occurs, the oil level is raised to a point that causes the engine to smoke. Cleaning the fuel system, replacing the filters and changing the oil will fix this issue. In some cases the car needs to be returned to the shop for repairs. My golf car does not seem to be steering correctly, what could be wrong? Most likely the car hit something causing the damage to the steering. Front suspension repairs will need to be made to correct it. Usually the repairs can be made on site, in severe cases the car will need to be returned to the shop. Inspection will determine if that is needed before repairs are made. My golf car does not do anything, makes no sound. What happened? In most case this is a simple fix. Either the main fuse is blown or the battery is dead. In some rare cases there could be a wiring issue. Circuit testing will determine what repairs are needed, inspect the fuse if the fuse is bad replace it with the same size fuse. Do not install a large fuse! Damage or fire could occur. Test the battery -if the battery drops below 10.5 volts, replace the battery. 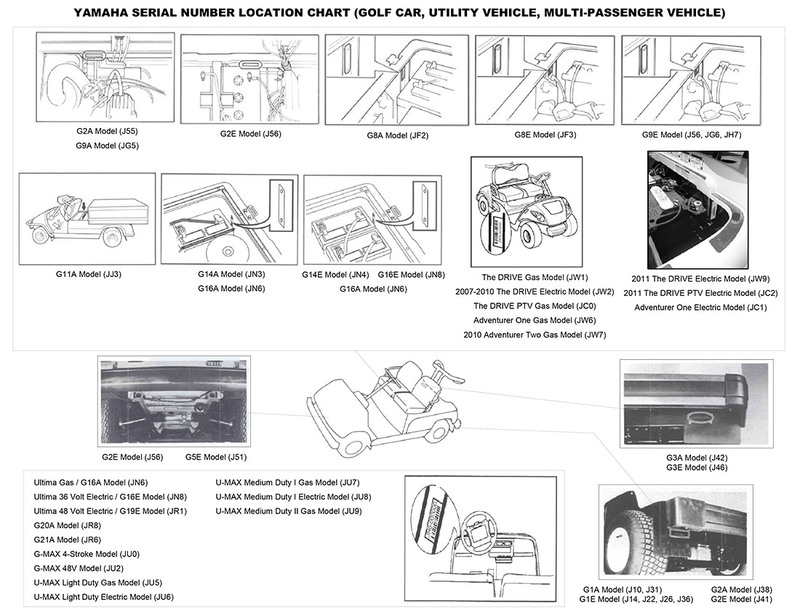 If these steps did not help, then the car would need to be returned to inspect the wiring. The tires on my golf car seem to wear out too fast, why? What type of pavement do you drive on? If you drive on the asphalt or concrete, your stock golf car tire is made for driving on grass. A DOT tire should be used and will last longer. Another issue could be the tire pressure, make sure the tires are inflated to the proper pressure. Low pressure will cause bad fuel economy on a gas golf car. Low pressure on an electric car will cause shorter run time and more battery usage.